You’ve been in business for a little while. You’ve built a good client roster or list of customers who have purchased from you. Now you want to earn even more business by harnessing the power of a solid review. We all know that in this online world, there are people who seek out reviews before making a buying decision. It could be shoe shoppers who want to hear from those who previously purchased the same pair of heels. It could be a homeowner wanting to hire the best landscaper for their yard. It could be a prospective patient curious to learn more about other patients’ experiences with a specialist. Or it may be someone seeking some type of professional service like legal representation, tax help, or more. 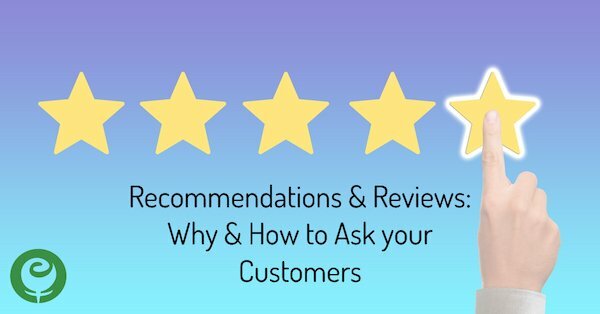 Reviews and recommendations can be powerful sales tools because they add validity to what you are offering to customers, and from someone other than you, the business owner, talking about how awesome you are. They also can be the deciding factor in buying decisions. 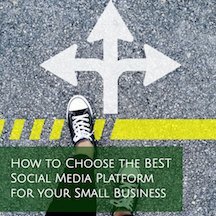 Several social media platforms and websites offer a review or rating functionality, so increasing the number of reviews you receive on each respective site helps build your presence on each site while also generating original content for you to use on your social media channels and on your website. And for Google reviews specifically, more reviews and a good star rating can impact where your business listing ranks in comparison to competitors (with fewer reviews and a lower star rating average). After that – especially if you are a spreadsheet type of person – you can create a master chart to keep track of every client you asked for a review, what platforms you requested they leave their review, and when you received a review from each person. Bonus points for also tracking when/if you thanked them for their posted review and if you’ve used that review as part of your social media content. It’s going to be hard to remember everyone you should ask and have asked for a review without writing it down. Plus, it’s going to be more manageable for you if you steadily request reviews over several weeks or months, especially if you are concerned you might trigger something on a profile or listing due to it receiving a flood of reviews in a short period of time. First, if you’re willing, you can ask current clients to leave you a review in person or by phone. These might not be methods that everyone feels comfortable with, but these are 2 ways to go about requesting a review. It’s probably easier for you as the business owner and for your clients if you send an email, though. Why? Because you can include information on where to visit to leave a review, and include a link (or links) a client can simply click on. Once you’ve gone through the steps to start asking for a few reviews, the process gets easier (and more comfortable). After you finish up requesting reviews or recommendations from your initial list of clients or customers, don’t expect this job to be done! Make it a habit to update your list or spreadsheet every quarter with new clients, and repeat the review request process with them. Donâ€™t Believe Your Eyes. Instead ask Why?